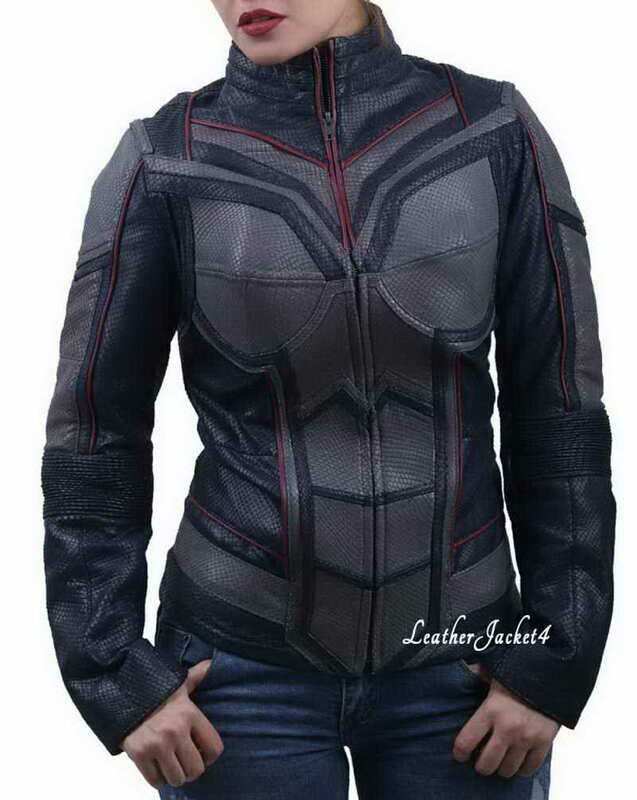 Ant Man has revised with the entire new sequel as an “Ant Man and the Wasp” in 2018, featuring the gorgeous Evangeline Lilly as Wasp, the thrilling wonderous girl with a knack of fighting. 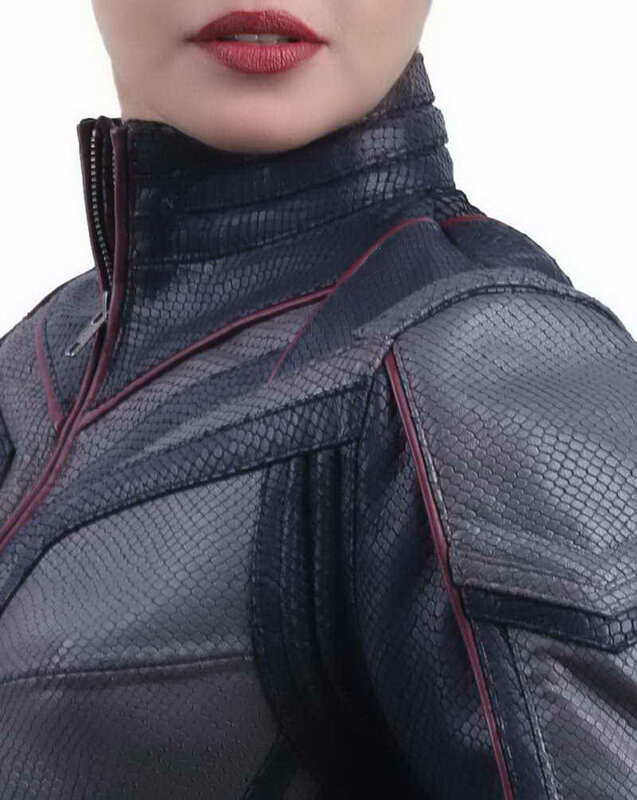 The Ant girl costume is as gorgeous and feminine as she has been in her entire Hollywood journey. 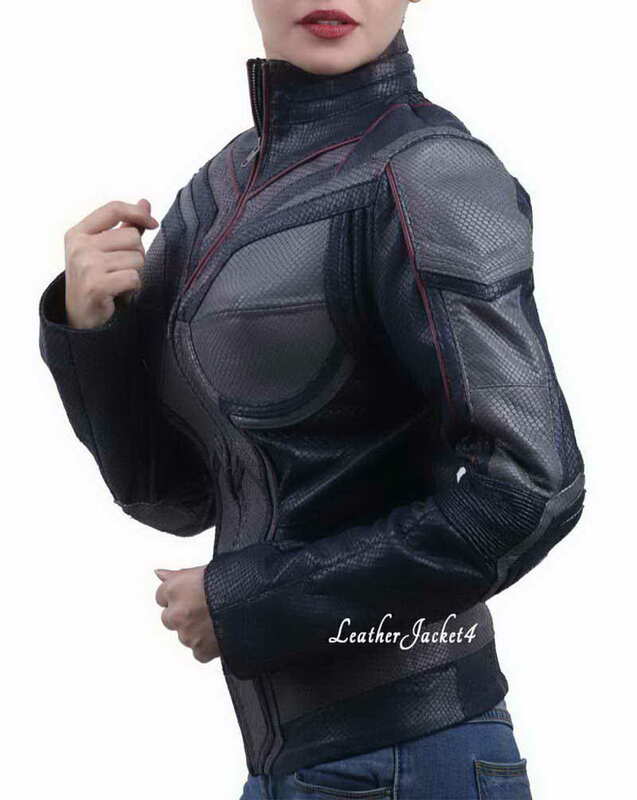 This Evangeline Lilly Wasp Jacket has an elevated detailing of female posture. 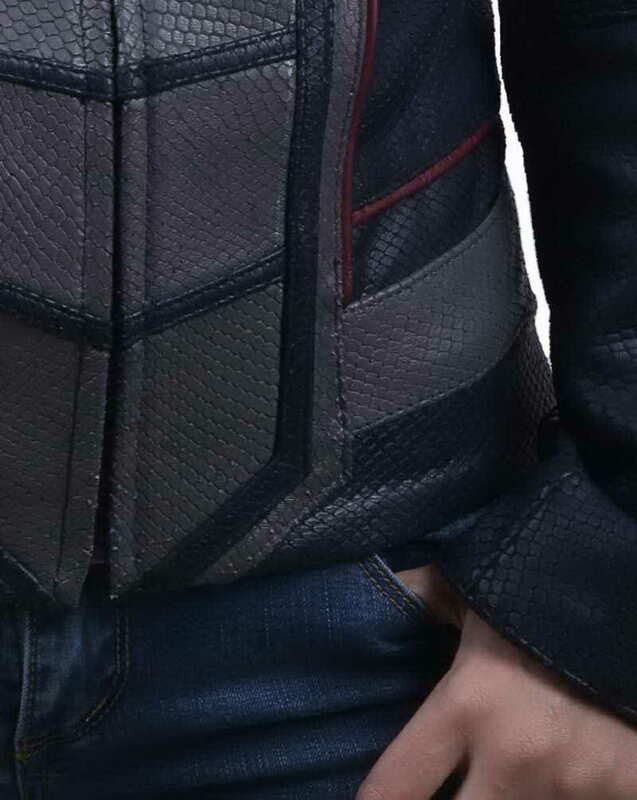 Pretty much skinny, cut to short body with many flattery contours are nicely developed from edge to edge to exude the athleisure aspect of Hope Van Dyne aka Wasp. 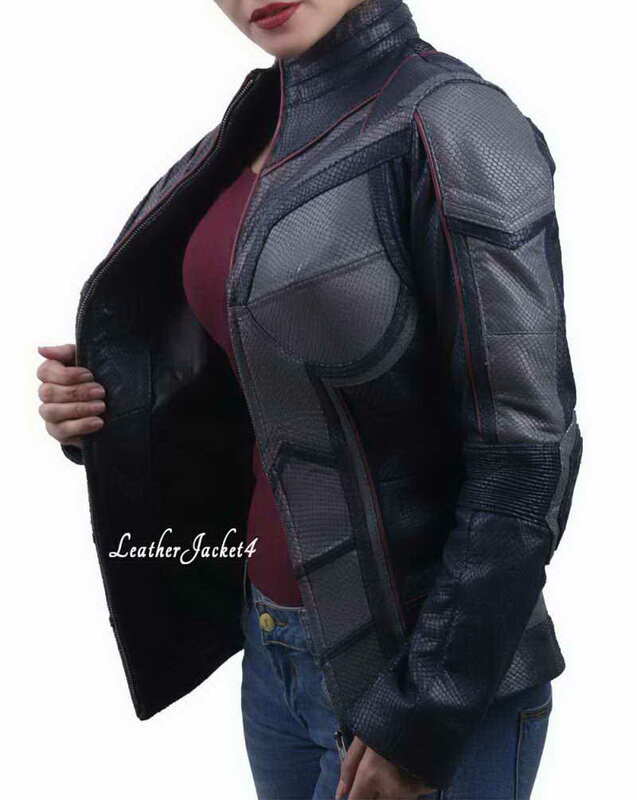 Enjoy the ultimate feminine appeal with the figure-hugging silhouette of Wasp leather costume to make your Halloween meetups more captivating than ever before. 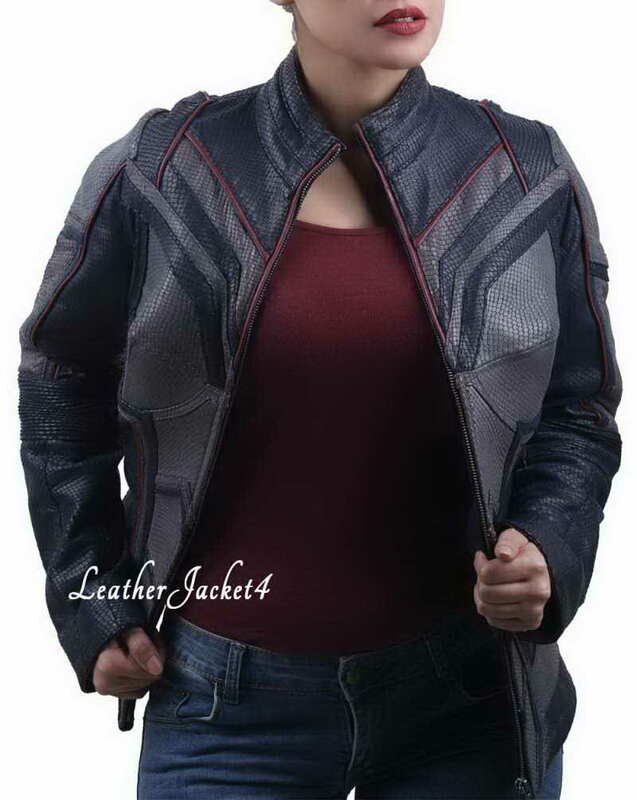 Ant Man 2 Jacket is crafted using prime quality real leather for the incredible finish and timeless durability. 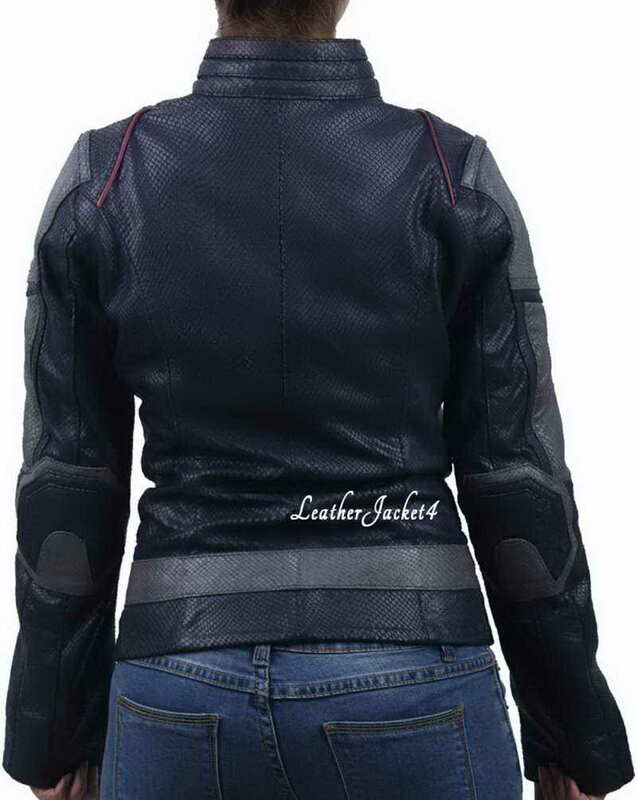 All female features are enchanted with padding style on anterior. Giving the grey and blue combination just like in the movie along with sleek zipper closure. Long narrow sleeves and typical round collars whilst back is given an embossed design of weapon carrier. Inner is fully lined with fluidly viscous fabric which keeps the chill outside and grants you the deserving comfort you crave in winter.